Memorial Day Weekend has passed, and the aroma of barbecue still lingers in the air. Camping trips and anglers’ breakfasts and all manners of out-of-doors cheer follow us into the new week. Most importantly, we recognize we are free to enjoy such a weekend. We can celebrate in the park without fear officers will grill us on where we bought our Tevas or the beef for our hamburgers. We can worship, pray, and honor our soldiers in public without concern we will be dragged into the nearest prison and tortured. 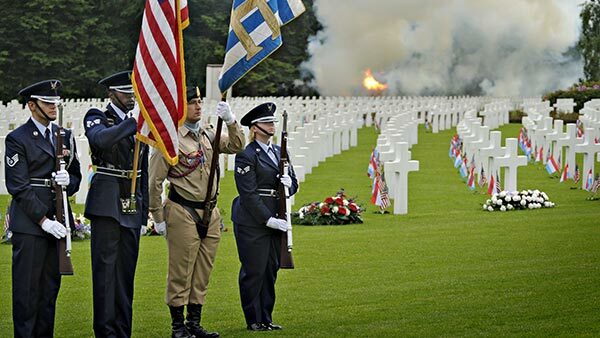 A multitude of men and women have fought and died to protect us from our military and political enemies, and we enjoyed this Memorial Day grateful for that fact. While most of the soldiers who fought in Iraq and Afghanistan have been brought home, thousands did so in caskets. Others still serve abroad in various locations around the world, still risking their lives in the name of freedom. While Memorial Day has passed, we need to keep praying for our soldiers still in the field. We recognize the soldier serves to protect the innocent, to stand up for those who cannot protect themselves. The soldier lays down his life out of love for his family and friends and neighbors. The following story was provided to us by two soldiers, and we thank God for His constant protection for our men and women serving both home and overseas. At their request, we have not included the last names of those interviewed for this article. During the past decade, our military personnel in the Middle East faced daily dangers from roadside bombs and enemy fire. Many people in the military can testify about God’s faithfulness to answer those prayers with great protection in the midst of serious jeopardy. This is just one story two Green Berets had to share. They were again preparing to leave town when they got a second call, “Hey, we got an Army bird down,” and they went back out to rescue a downed U.S. helicopter, hoping the personnel on board were still alive. Out they went through the dusty desert town, finding the enemy hiding here and there the whole trip. “It was kind of weird, with fires coming from all over the place, people taking pot shots from alleys or berms. The desert’s kind of crazy,” Donny told us. They decided they would drive around a big berm and out to the helicopter crash site. “We had to drive between two berms,” Donny said, “That is not good — it’s a perfect place for an ambush.” There did not appear to be any other route to the helicopter, so the train of trucks carrying fewer than 100 U.S. and Iraqi soldiers began to drive right between the two berms. As soon as they did, men later identified as the Army of Heaven Muslim cult poured up to the top of the berms and began shooting down at them from only 15–20 feet away. “But you guys didn’t get shot?” we asked. Fewer than 100 U.S. and Iraqi soldiers were attacked by an army of 600–1000 fighters who believed their leader was the Muslim Messiah. One by one, the U.S. trucks drove through that ambush, and Donny was afraid the enemy would shoot out their tires and overrun them. Instead, each of the trucks made it through the brutal attack and they were able to drive far enough to turn around and get into a good position to battle back. They fought until nightfall, waiting until it was dark enough to check out the burning, charred helicopter. In contrast, the U.S. side lost two Iraqis during the fight. Tyler grieved over the two Iraqis, men he had trained personally, men he admired and cared about. The Army later learned the Soldiers of Heaven had been intending to attack Najaf the next day on the climax of the annual Shiite celebration of Ashura. They intended to massacre the clerical leadership, take charge of Najaf, and declare their leader the 12th Imam. The U.S. soldiers’ route between the wrong two berms ended all of that.